But first, the week that was. All together, there are 300-400 runners on the track (but not always at the same time). 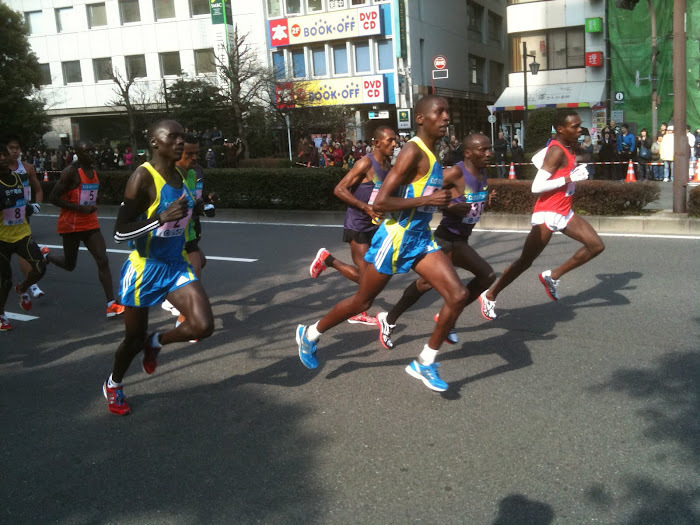 That's running in Tokyo! Saturday - 75' with 6k warmup, then 2k x 3. 8:38 (20/18), 8:42 (18/24), 8:47 (21/26). Cut recovery time from last week's 3:30 to 2:30 walk. Felt pretty good and worked pretty hard. It was hot - 29C/84F - but cloudy so didn't feel so hot. So here's my latest basic training program. Which is 10 hours of running, 9 at an easy/comfortable pace, total about 96k. Decided to rest on Fridays, due to DOMS from wednesday and to recover for the days ahead. Congrats on making the A group! We'd be lucky to have 20 people at track training afternoons. Looks like a good plan. I'm going to have a very short (3 to 5k jog) or rest day in my weeks.